The largest motorcyclist populations seem to be in urban areas where city-dwellers save money and time getting from place to place. Motorcycles have easy maneuverability, great gas mileage, and the initial cost to purchase one isn’t as much as a car. With accidents on the road being all too commonplace, drivers should be aware of the risks and take precautions. These precautions will help to ensure their safety as well as the safety of others. However, even with the necessary safety precautions, drivers still have a psychological blind spot with motorcycles. Other drivers are simply negligent. Unfortunately, there is a 35% higher fatality rate for drivers of motorcycles than those of automobiles. Many say that this high fatality rate can be attributed to the lack of protection that a motorcycle provides or lack of protective gear. While protective gear and other precautions can help motorcyclists, the main cause of an accident is a psychological blind spot and negligent drivers. Many drivers do not see motorcycles due to a psychological blind spot where their mind is simply looking for another car. There are also some drivers that do not see motorcycles out of sheer negligence. These drivers are often distracted by the radio or their phone and are not paying attention to their surroundings, making the road a much more dangerous place. There are other variables to think about when assessing a motorcycle accident, such as defective equipment and dangerous roadways. Poor manufacturing and testing can result in disastrous consequences. On the other hand, a roadway that is not properly maintained can be just as detrimental to motorcyclists. In both cases, it may be possible to obtain compensation for your injuries. There are certain precautions that motorcyclists can take while on the road to prevent accidents caused by automobile drivers. Motorcyclists should wear bright protective gear that makes them stand out more at any time of day. Staying out of blind spots is also a necessary precaution. Share the road and be sure to check your blind spot for any motorcyclists that may be near. You should also wait to turn in front of oncoming motorcycles. Most importantly, put down your phone. It is not worth someone else’s life to check your phone while on the road. 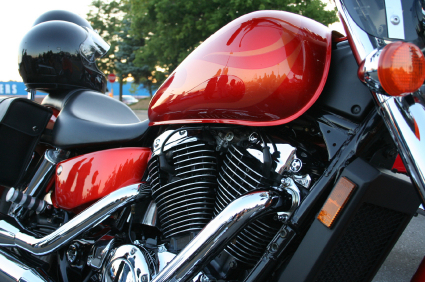 If you have been involved in a motorcycle accident, you may be entitled to an insurance claim. In order to have a successful claim process, it is best to speak with a personal injury attorney. This type of attorney is the most experienced and best prepared to help you with a case of this nature. Depending on the severity of your injuries, you can gain assistance for extended medical care, lost wages, and long-term rehabilitation costs. Visit a doctor or hospital first if you have been in a motorcycle accident. Then contact Attorney Dean Boyd if you need help with a personal injury claim. You can call us at (806) 242-3333 or Contact Us by email for information about your free consultation or our services. You can also visit us in person at 4423 SW 45th Ave in Amarillo, Texas or 5012 50th St #103 in Lubbock, Texas.